V.W.Bro. Alexander Wheelan a member of Lodge 23 Newry, built Newry Masonic Hall in 1887. A carpenter, joiner, builder & saw mill proprietor from 17 Canal Street, Newry he built many prestigious buildings in and around the South Down area. He joined Lodge 23, was Worshipful Master in 1883, and became a Very Worshipful Brother in 1898 when he was invested as a Provincial Junior Grand Warden in the Provincial Grand Lodge of Down. He died on the 16th Nov 1902 and is buried in St. Patrick's Church of Ireland graveyard, Newry. The first sod from the building of the Hall is on display in the cabinet in the Hall. •	New post office and caretaker's residence Hill Street, Newry in 1898. Tenders invited, Feb 1898. Asst. Surveyor S.K. Kirker, Clerk of Works S.G. Kent. 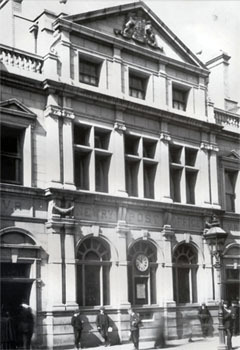 Post Office, Hill Street, Newry. 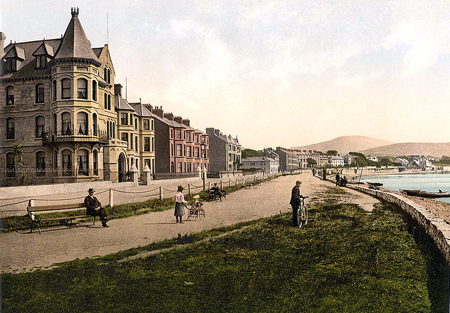 Photo of the Beach Hotel / Great Northern Hotel (now the Convent of Mercy Nursing Home) 1885.